In October 2010, the 37th ICAO Assembly Resolution on environmental and climate change invited Member States to submit their national Action Plans for reducing international civil aviation CO2 emissions. Following this invitation, in 2013 and 2016, the Assembly encouraged ICAO Member States to submit their Plans, or to update those submitted in 2012 and 2015, and to cooperate with other States for their Plan submission in 2018. Luis Miguel Ribeiro is the Chairman of the Civil Aviation Authority since July 2015, the regulator for the Portuguese civil aviation sector. He started his professional career in 1995, in the Ministry of Finance where he held various positions until 2010 that included the Deputy Director of the General Directorate of the Treasury. In 2010 he was appointed member of the Board of Metropolitano of Lisboa. In August 2012, he assumed the role of Member of the Board of ANA – Airports of Portugal, SA. Based on a common language, historical and cultural similarities, the Civil Aviation Authorities of Angola, Brazil, Cape Verde, Guinea-Bissau, Mozambique, Portugal, S. Tome e Principe and East Timor, established in 2007, the “Community of Lusophone Aviation Authorities, hereinafter designated as “CAACL”. They were later joined, in 2015, by Equatorial Guinea. Action Plans are a practical means for States to communicate information to ICAO on their activities to address CO2 emissions. Many ICAO Member States wanted to take action, but some were not sure how. ICAO put into place an integrated strategy to support the States willing to take action. This included developing and promoting guidance, technical material, and offering capacity building to facilitate the development of State Action Plans on CO2 emissions reduction activities. In 2017, Portugal and Cape Verde created a CAACL Working Group (WG), with the aim to establish an aviation environmental framework for emissions monitoring at the State level to identify, evaluate and implement mitigation measures, in order to submit the respective environmental Action Plan to ICAO. For this purpose, with ICAO EUR/NAT Regional Office support, CAA representatives (CAACL and environmental Focal Points) from Brazil, Cape Verde, Mozambique, Portugal and an expert on Environment from ICAO EUR/NAT and WACAF Regions, joined for a first meeting, hosted by Cape Verde from 27 February to 2 March 2018. Cape Verde and Mozambique stakeholders from aviation and environment sectors also attended the meeting and gave a great contribution to the positive results achieved. 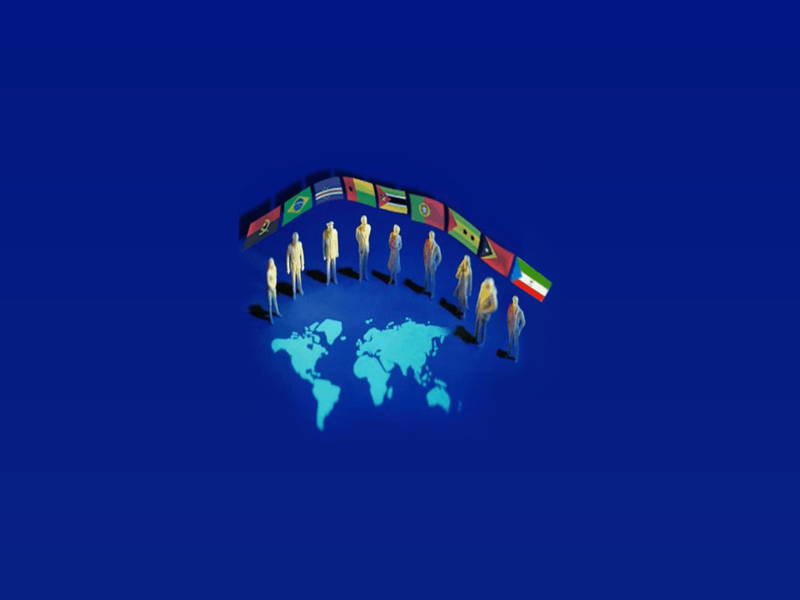 Since the establishment of CAACL, the cooperation between its members has been focused in all five strategic areas of ICAO and several activities have taken place, namely, on-the-job training, capacity building, training courses, and assistance on projects in different areas, such as, air transport, airport certification and more recently environment, under the scope of the “No Country Left Behind” (NCLB) initiative. Underlying the strategic objectives of ICAO, technical assistance is of utmost importance to ensure a proper level of competencies of civil aviation authorities. The NCLB campaign highlights ICAO’s efforts to assist States in implementing ICAO Standards and Recommended Practices (SARPs). Portugal and the other CAACL Members States, through their respective Civil Aviation Authorities, are actively involved in giving the Portuguese language the role it deserves in contributing for NCLB, as well as for the sustainability of the international civil aviation sector, namely in the African region. The Portuguese language is the fourth most spoken language in the world. About 261 million people (3.8%), located in five continents (Africa, America, Asia, Europe and Oceania), communicate in Portuguese.